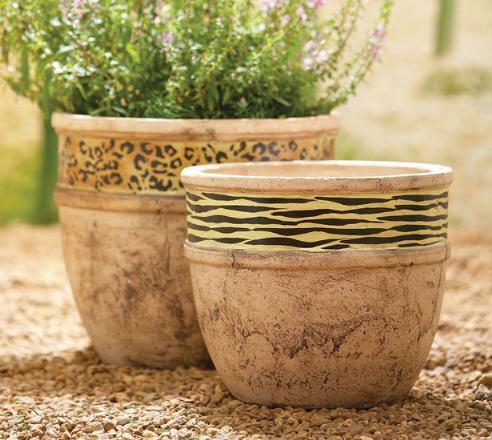 Give an exotic look to your atrium or garden with these animal print patterned planters. These safari stylisg pots will give a feel of wild in any corner. A great gift for any gardener! Animal Print Design Planters With Natural Finish, Set Of 2 (Cheetah, Zebra), Lg: 12″D X 10.5″H, Sm: 10.5″D X 9″H, Has Drainage Holes, Ceramic. We offer 100% price match guarantee. We don’t charge sales tax (except in CA).